Bump, set, spike - SEFAA! Join us for a day in the sun as SEFAA members gather together for a friendly competition and action-packed afternoon. Over 40 teams and hundreds of spectators from both management and supplier companies attend this event and spend their time cheering on colleagues, networking with industry peers, and enjoying the ocean view. Do not miss this opportunity to watch management and vendor teams compete for the winning title of first, second or third place champion. The SEFAA Volleyball Tournament always draws a huge crowd every year and is the perfect opportunity for companies to gain significant brand recognition. Take a look at the event map for key areas and sponsor tent locations! Attendees can participate in this event as a player (on a team of 6 people) or as a spectator (to simply watch and enjoy the tournament). The cost to attend does not vary by participant type. Teams should be made up of six (6) players. Each team must have at least two (2) female players on the court at all times during play or they will forfeit the match. Teams must consist of people who work for the company registered. If you are not able to complete a team you may ask another SEFAA member to join. It is expressly prohibited for any team to include in their team count professional volleyball players, “Ringers” or similarly situated individuals who are not directly employed by the Representative Company. Every attendee will be required to sign and fill out the waiver on site at registration. It must be completed by both players and spectators. Complimentary self-parking is available at the south end of the Fort Lauderdale Beach parking lot. Overflow parking available at the attendees' expense in the parking garage directly across the street from B Ocean, located at 1140 Seabreeze Blvd, Fort Lauderdale, FL 33316. The SEFAA Volleyball Tournament always draws a huge crowd every year and is the perfect opportunity for companies to gain significant brand recognition. Browse through our current partnership opportunities and contact partnerships@sefaa.org if interested! Note: Packages do sell fast and this document may not always include real-time updates. The Community Service Committee will be supporting Feeding South Florida with the collection of monetary donations before and during the Volleyball Tournamnet. A donation table will be set up by registration for more infomation and to Donate. Cash and credit cards contributions will be taken! Feeding South Florida is the largest, most efficient food bank serving Palm Beach, Broward, Miami-Dade, and Monroe Counties. 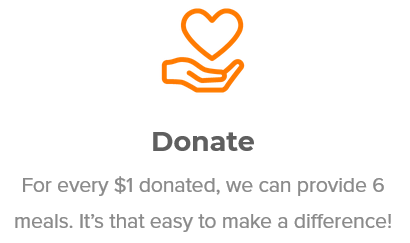 More than 98% of all donations are put back into the community. Through innovative direct-service programs and a network of nonprofit partner agencies, Feeding South Florida distributes more than 50 million pounds (42 million meals) of food annually to over 700,000 individuals – 240,190 of whom are children and 110,000 are older adults. 12:00 PM Lunch Lunch is included in registration fee.